Pearce Chiropractic Office is a Chiropractor facility at 195 Water St in Exeter, NH. Services Pearce Chiropractic Office practices at 195 Water St, Exeter, NH 03833. Chiropractors diagnose and treat common spinal misalignments that can occur from lifestyle or injuries causing pain, discomfort and degenerative conditions. 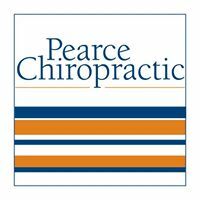 Pearce Chiropractic Office may be able to treat; back pain, sciatica, neck pain, shoulder pain, headaches, sports injuries, and auto accident injuries. Were the waiting room chairs comfortable at this chiropractor's office? Does this provider promptly return your phone calls? After your appointment with this chiropractor, were you still skeptical that the treatment would be effective?